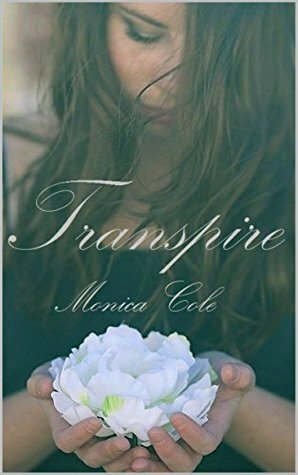 Transpire: verb (used without object), transpired, transpiring. 1.To occur; happen; take place. Meet Elaine. She is a daughter, sister, BFF and a girlfriend….or she was when she was carefree and two years younger. Now she is empty, broken hearted and feels alone without healing. Just before her senior year of high school she went through such a traumatic experience she never thought her family could forgive her, let alone forgiveness for herself. Then she meets her saving grace, literally. Canyon, a senior from the neighboring private school, in all accounts her rival. Canyon. What can I say about him?? Elaine KNEW he could be the “ONE”, who did turn out to BE the “ONE”. He was someone who wanted to be more to her but she felt unworthy, so they started out being friends….with gentle prodding and general “friendliness” he won her over. BUT having secrets of his own, leaves him with his own doubts for a future with Elaine. Instead of being totally open with each other, they let their own personal underlying issues tear them apart. Self-preservation had her going to college after graduation and not looking back for two years. Until a call from her brother had her returning home during summer break. She returns for what turns out to be the “summer of forgiveness”. Watch how old hurts, misunderstandings and feelings come out and these wonderful characters begin to heal and learn to live once again. Author Monica Cole has given us a wonderful cast of characters that by the end of the book has taught us what NOT to do in a relationship with your family or your “ONE”….in other words… Seize the day and never give up. I really enjoyed this read even though I found it a little bit predictable. A good days read. I give it 4 out of 5. Monica Cole lives in Central Arkansas with her husband and two year old daughter. She enjoys reading NA fiction but loves writing it even more. She is a music junkie and most of her story ideas are inspired by songs. When she isn’t writing or reading, she enjoys hanging out with family or friends and spending ridiculous amounts of time on the Internet. She also likes to eat.